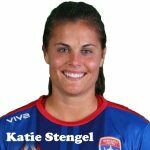 Women's World Football Show Episode 143 hosted by Patty La Bella and Adam Barlow. 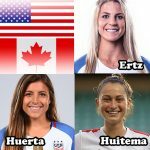 Featuring exclusive interviews with U.S. WNT/Portland Thorns FC goalkeeper Adrianna Franch and England WNT/Arsenal Women FC midfielder Leah Williamson; Soundbites from U.S.WNT players Ashlyn Harris, Alex Morgan and Megan Rapinoe; and a look at Jamaica with CONCACAF expert and host of Futbol Ace podcast Ana DeSouza. 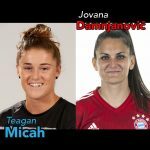 Women’s World Football Show, Episode 143 features exclusive interviews with U.S. WNT goalkeeper Adrianna Franch and England WNT midfielder Leah Williamson; Soundbites from U.S.WNT players Ashlyn Harris, Alex Morgan and Megan Rapinoe; and a look at Jamaica with CONCACAF expert and host of Futbol Ace podcast Ana DeSouza. Also on the show, special reports on Algarve Cup, Cypress Cup, FFA Cup of Nations, and SheBelieves Cup; NWSL spring training; and an update on of the SSE Women’s FA Cup. 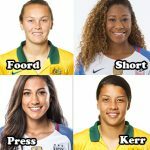 Soundbites from Alex Morgan and Megan Rapinoe courtesy of U.S. Soccer/Wazee Digital.